(if I may borrow the phrase made famous by Mr. Rogers!) My first graders are kicking off the school year by meeting my long vowel puppets and building five Long Vowel Neighborhoods. 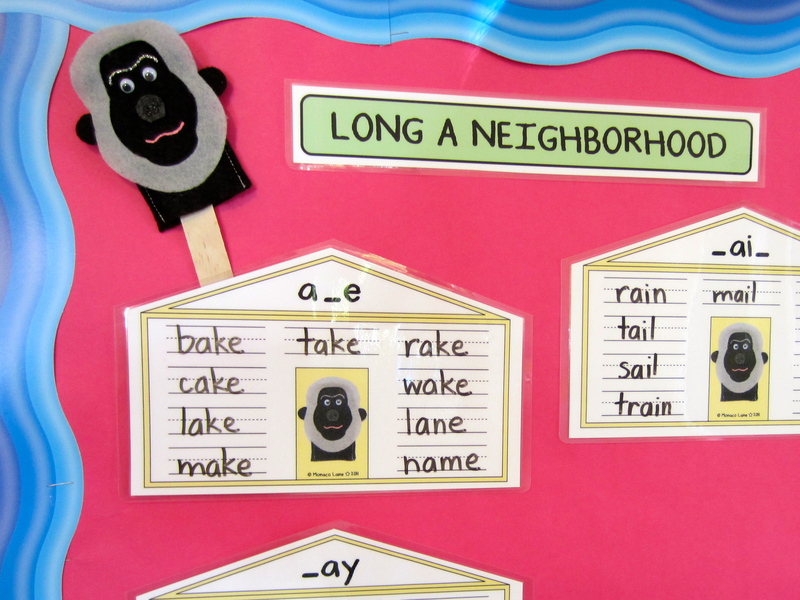 After they meet a puppet, my students spend the next several days “building” houses using words that follow a certain long vowel rule like “silent but bossy E” or “two vowels go walking, the first one does the talking”. We generate a list of words on the board then my students write the words on their own paper copy of the house. When the book is complete, they take it home to read with their families. I display my own (dry erase, laminated) house in the classroom in The Long A Neighborhood for future reference. And I must say, it’s always a beautiful day in the neighborhood!